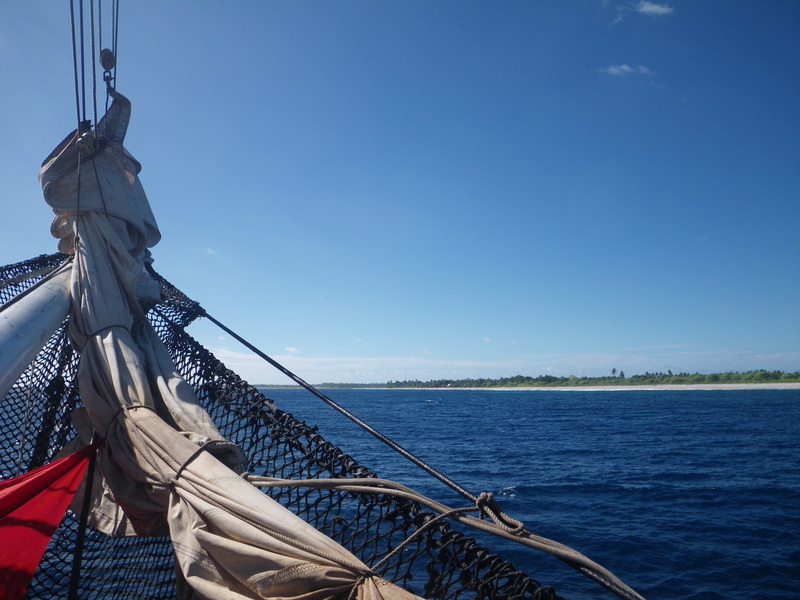 The sea was basically calm, but the ship still rolled a lot. 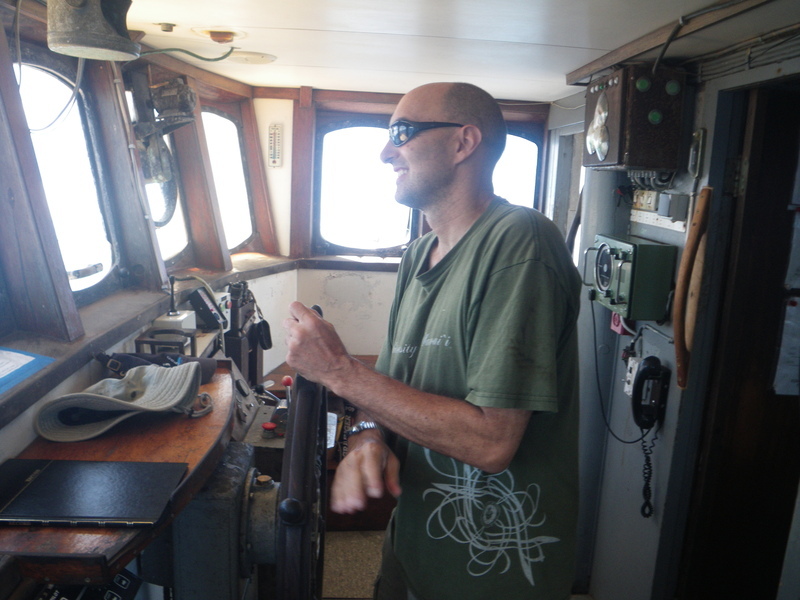 I was allowed to steer for a while. 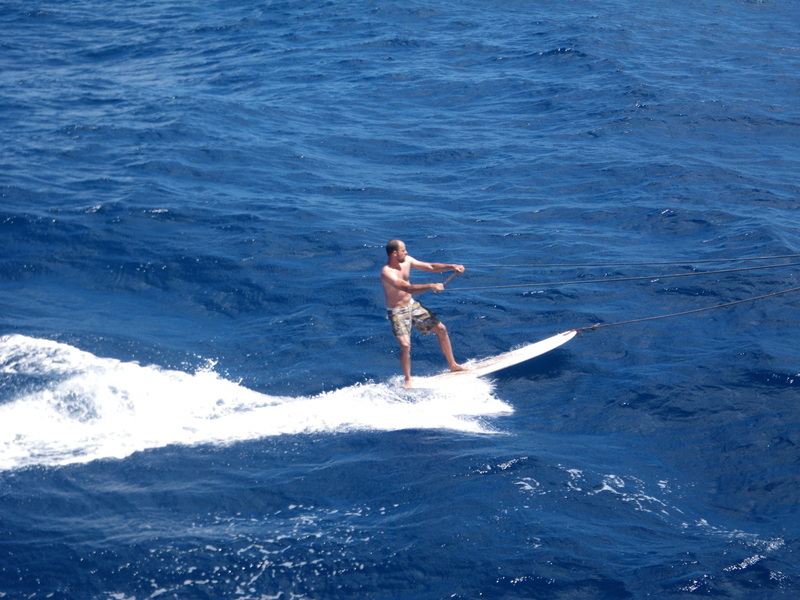 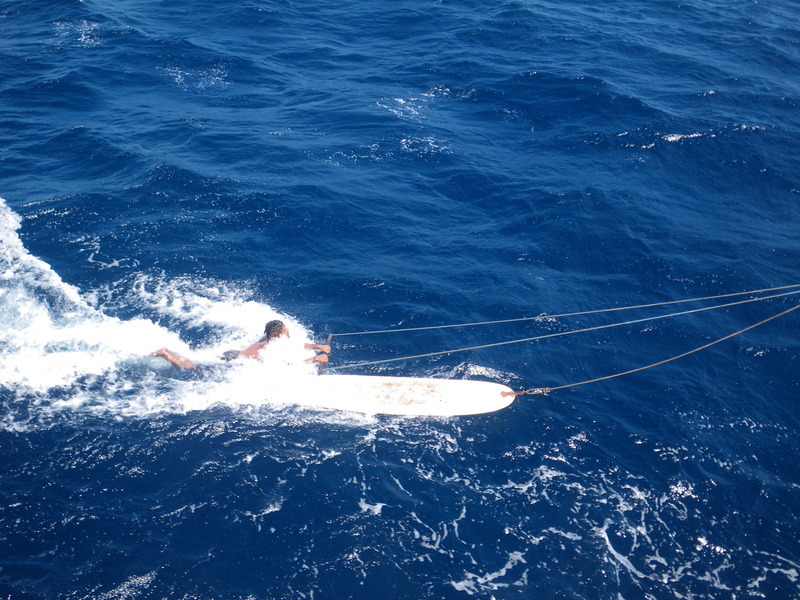 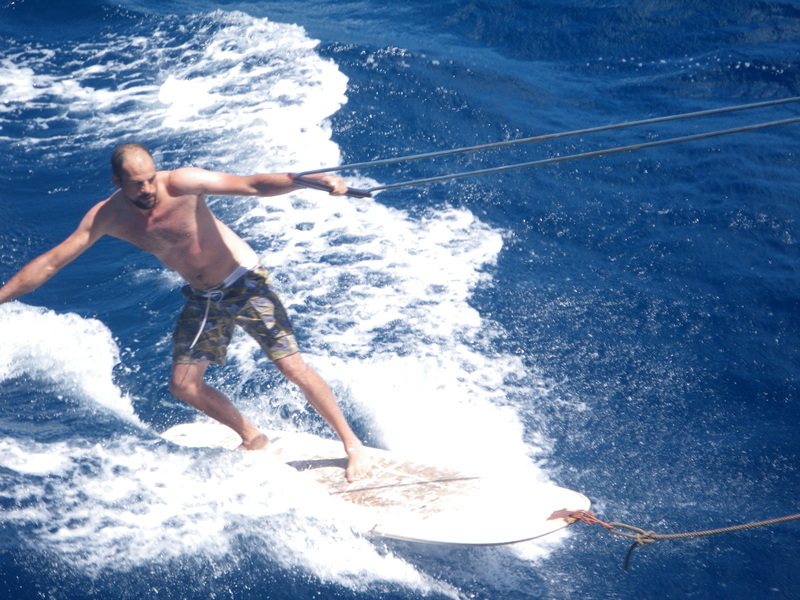 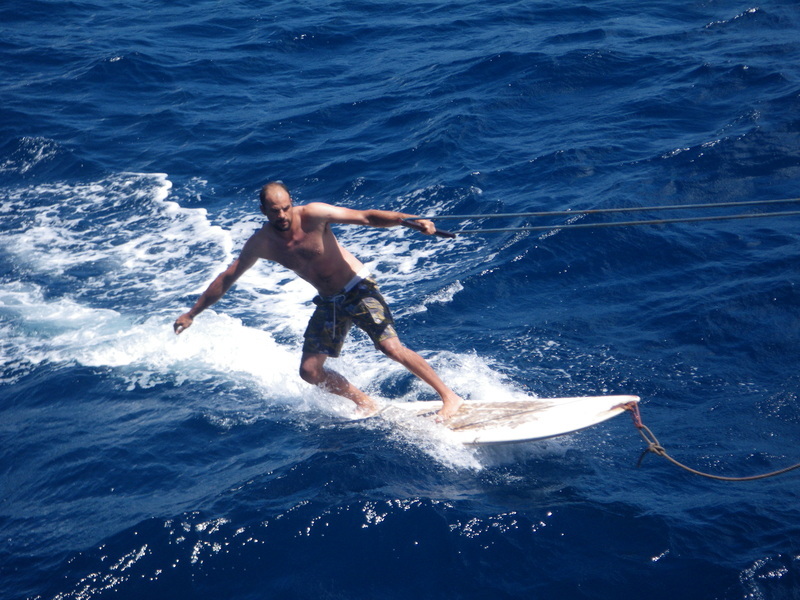 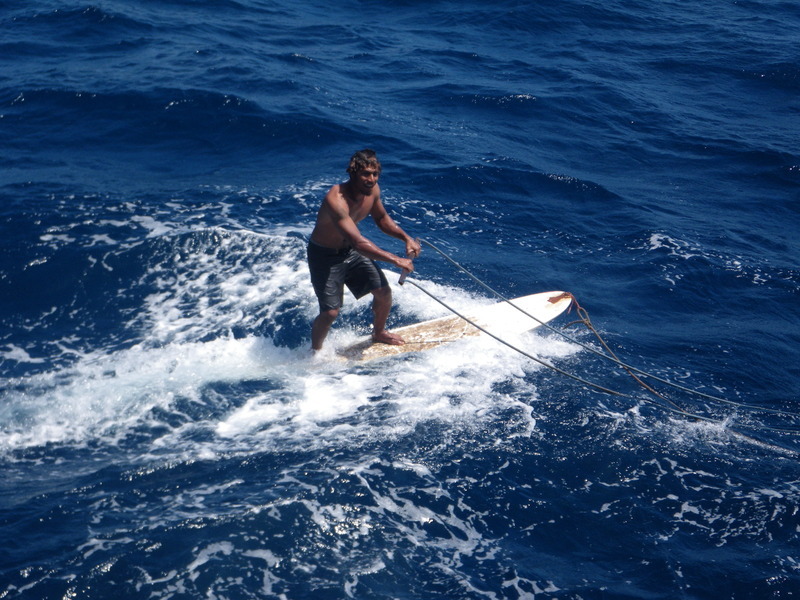 The Kwai has a tradition of surfing off the side of the ship. 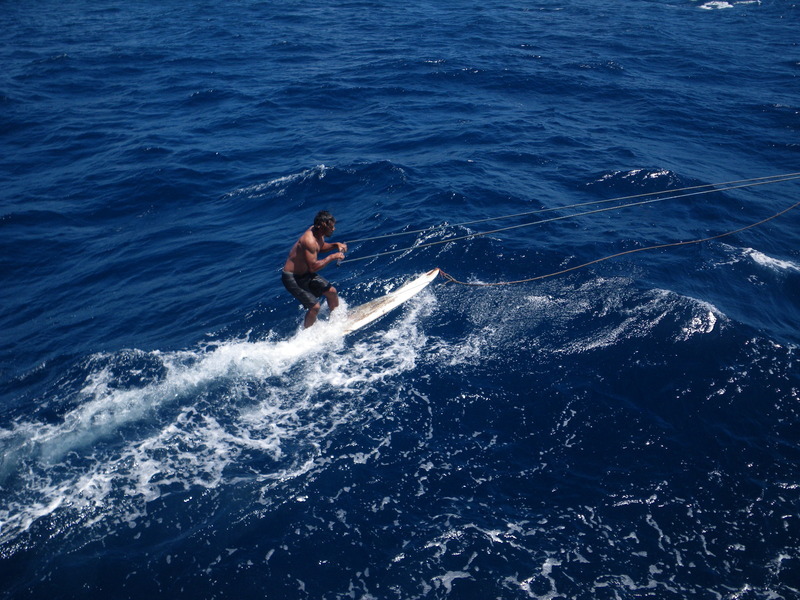 This is somewhat similar to wakeboarding. 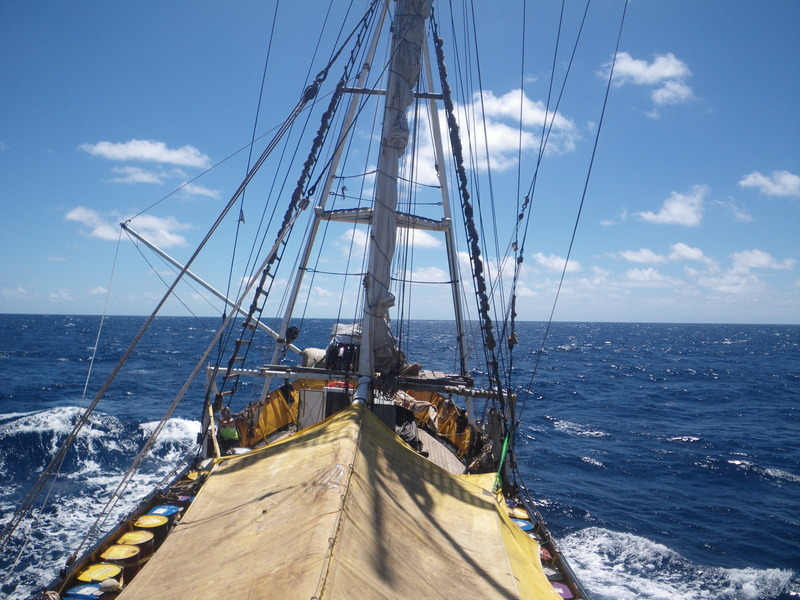 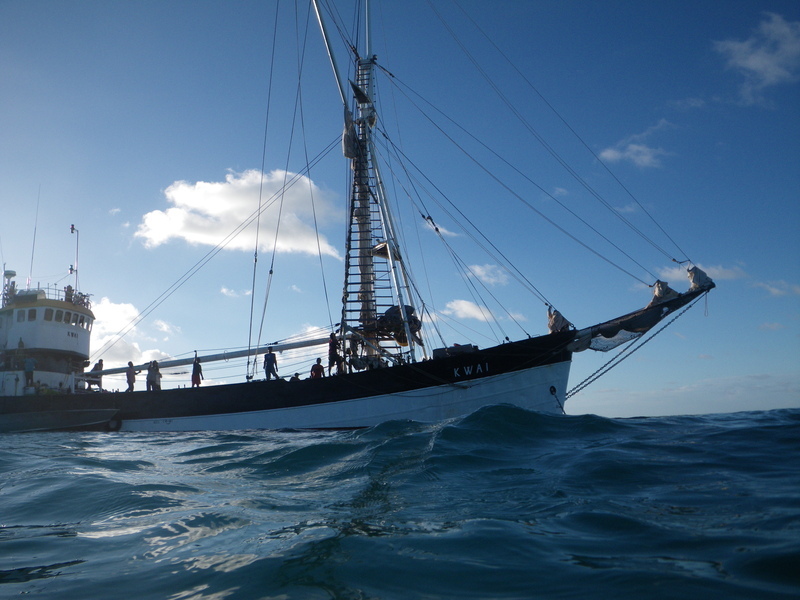 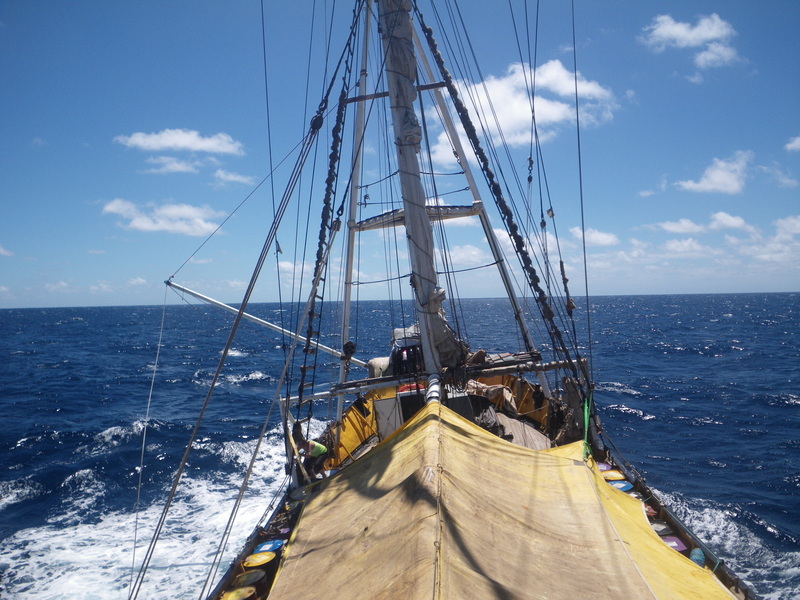 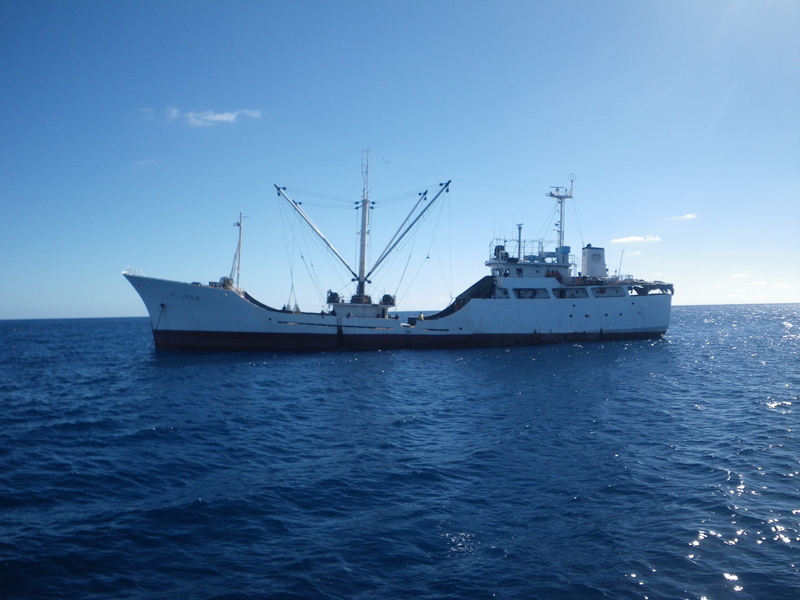 The ship goes about 5-7 knots, which makes for an exciting ride. 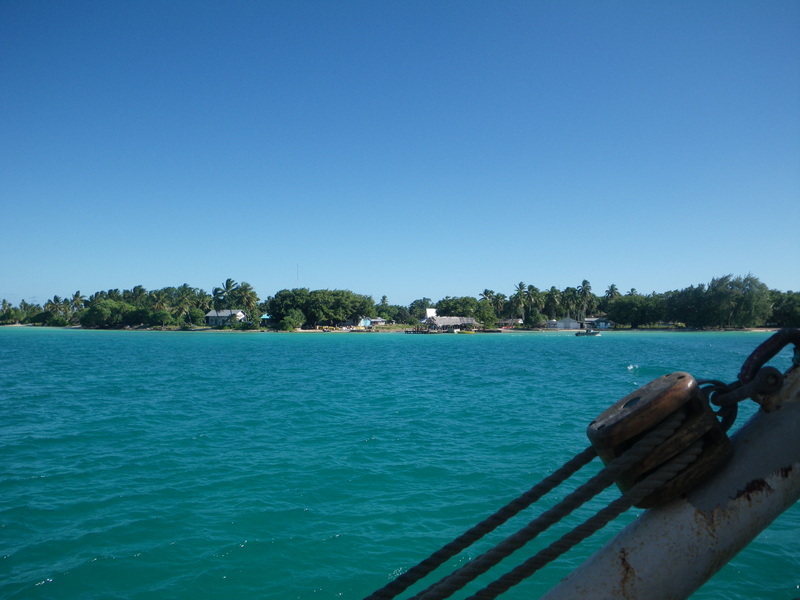 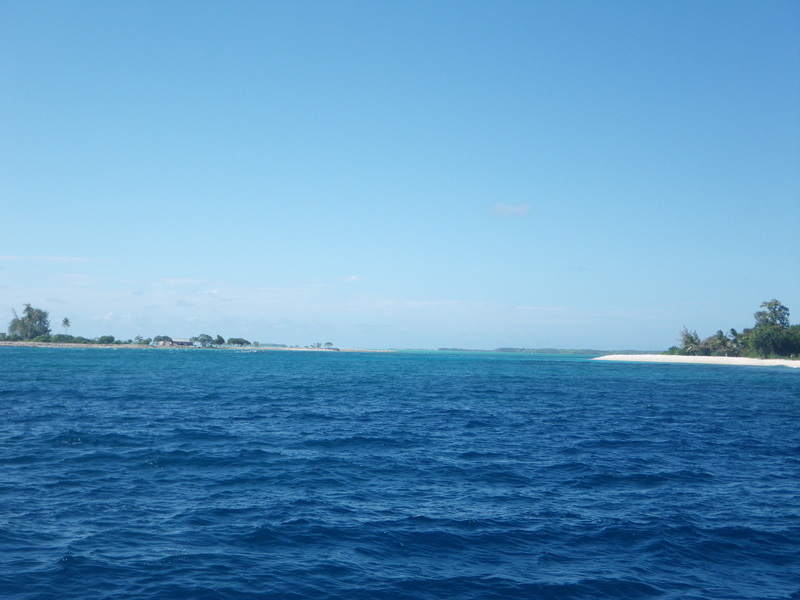 Around 4pm we sighted Fanning Island, Tabueran (Tabuaeran). 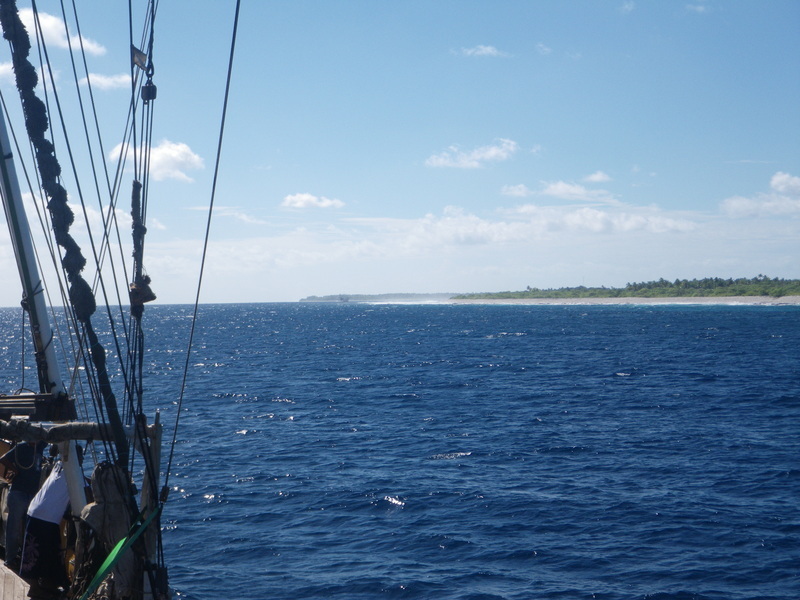 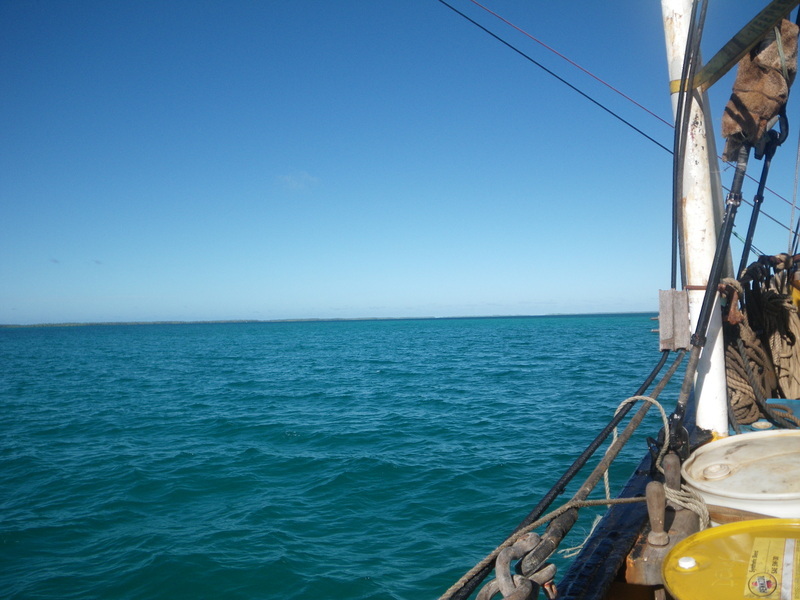 We sailed around the South, then West shores of Fanning until we got to the entrance of the channel. 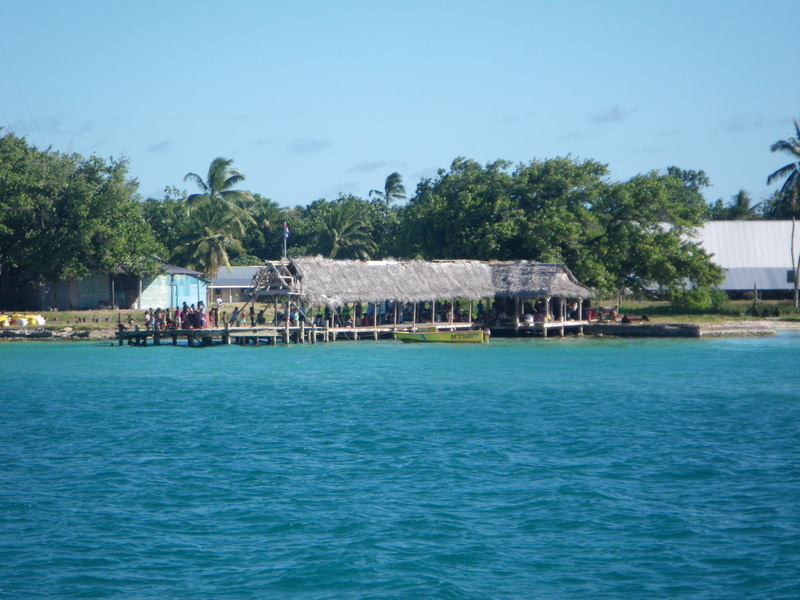 The island has been building a big house called something like "maniapa". 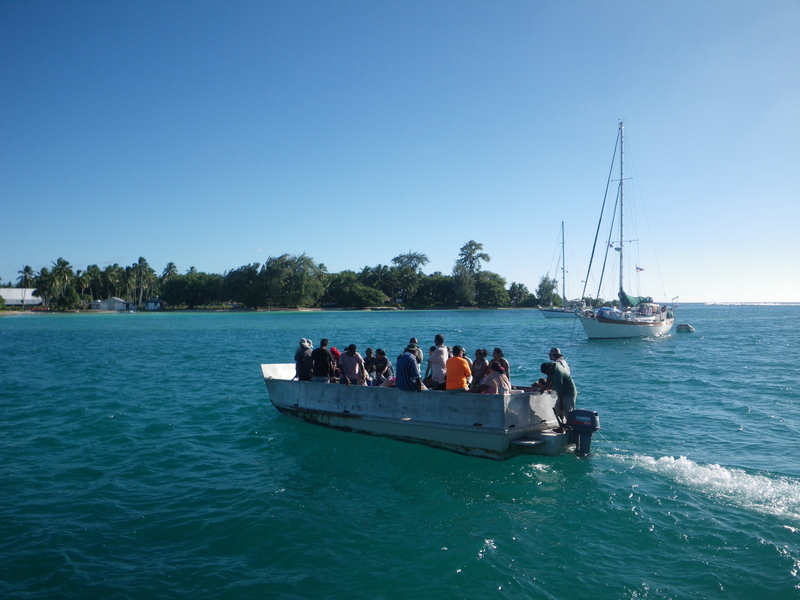 The Moa Moa preceded us to the island, but anchored outside the lagoon. 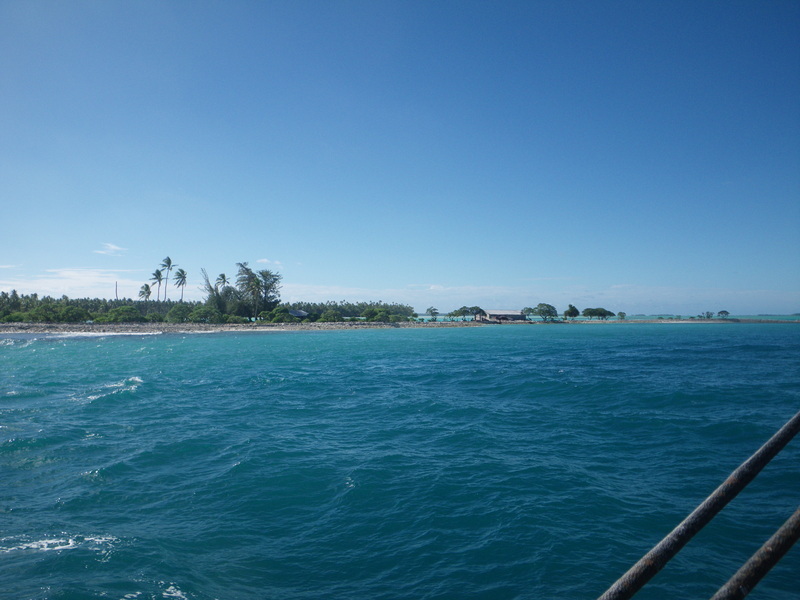 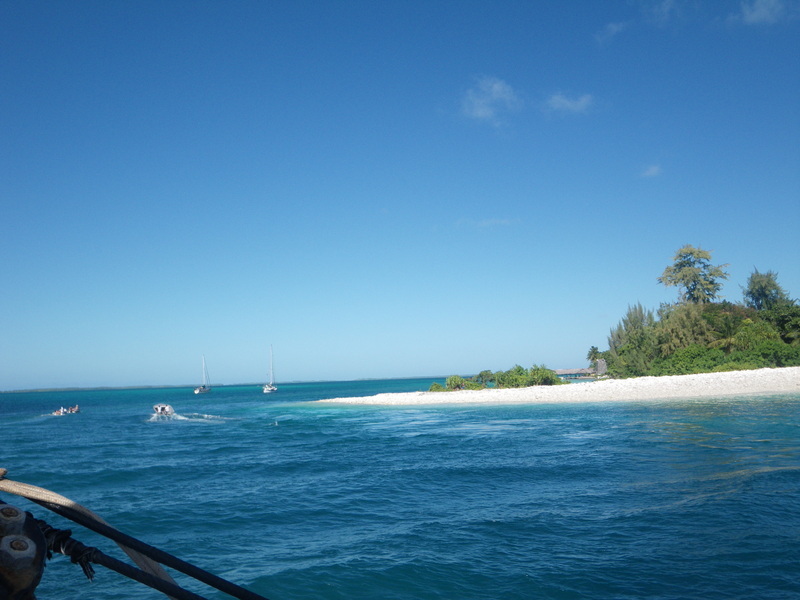 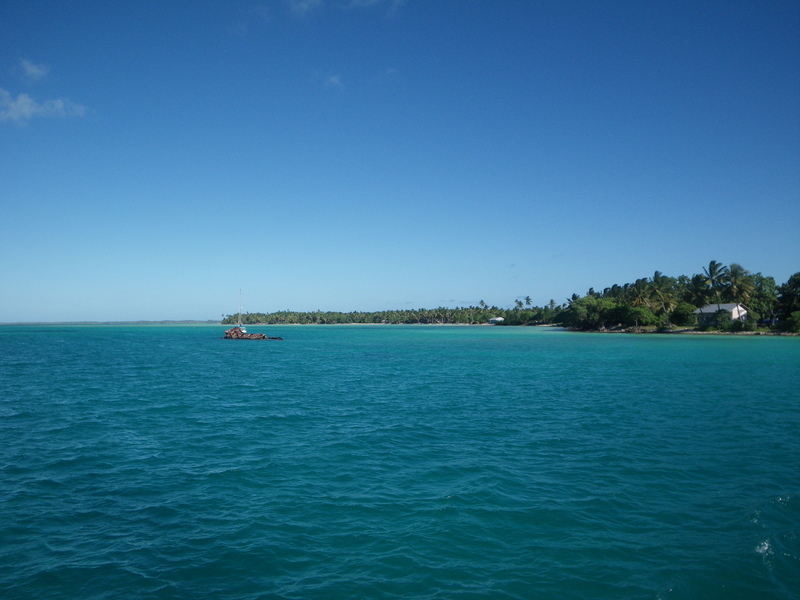 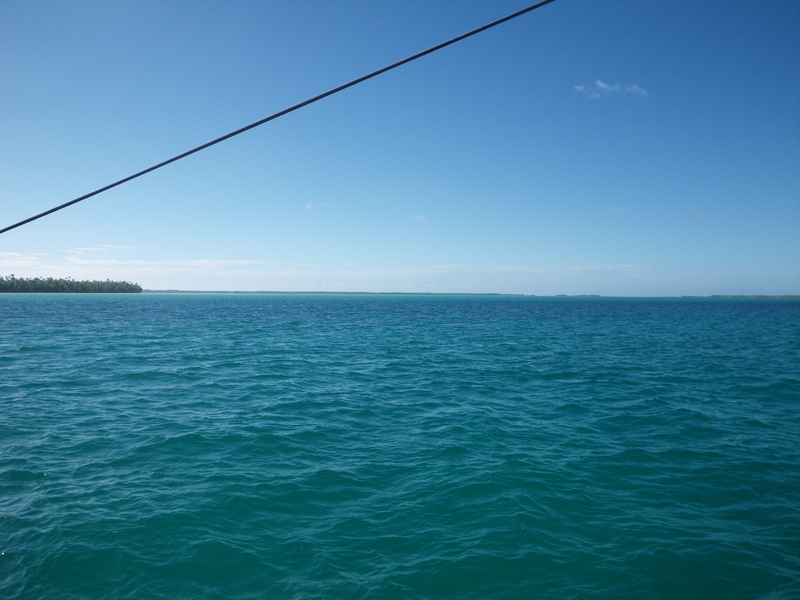 The entrance to the lagoon and the anchorage are fairly shallow. 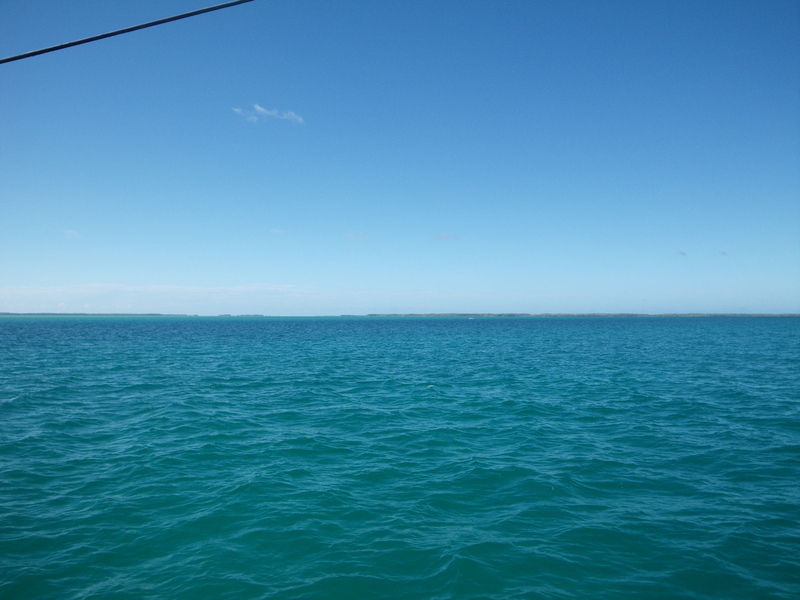 Also quite beautiful. 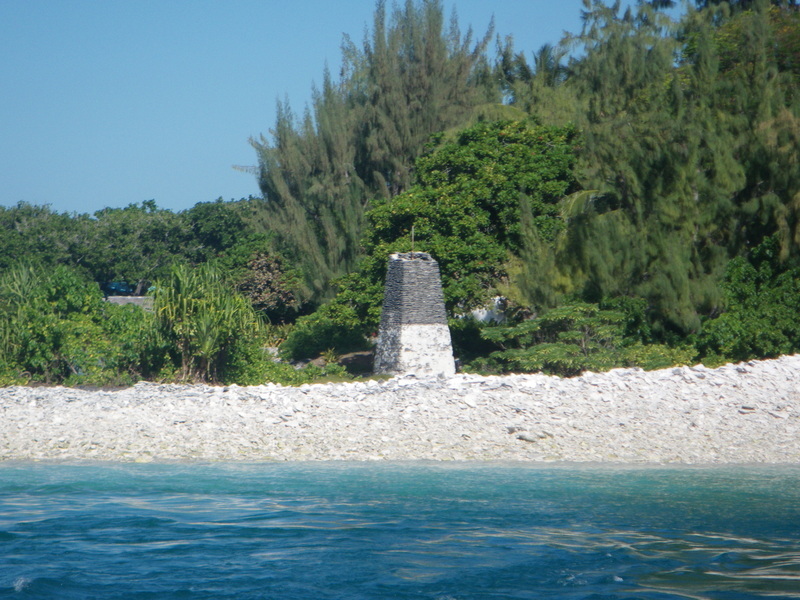 The entrance to the lagoon has an interesting structure. 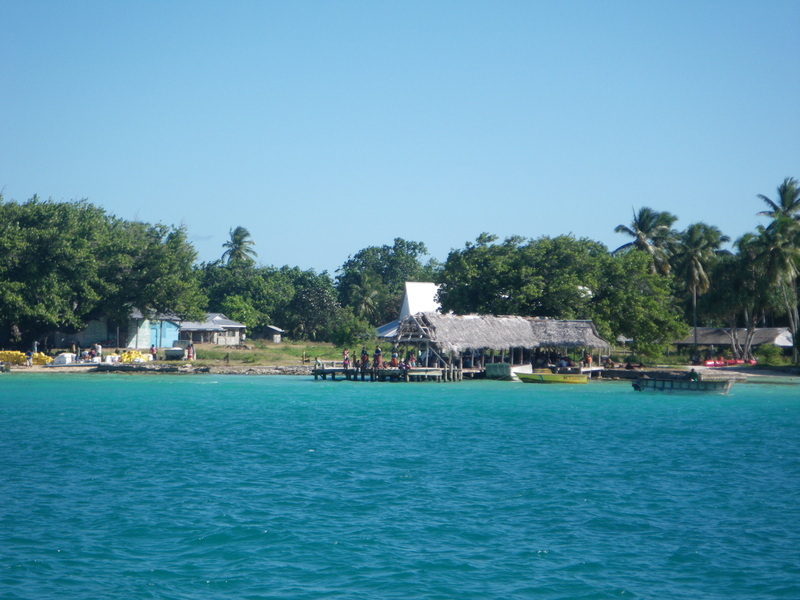 There is a little village with a dock for tenders and small boats. 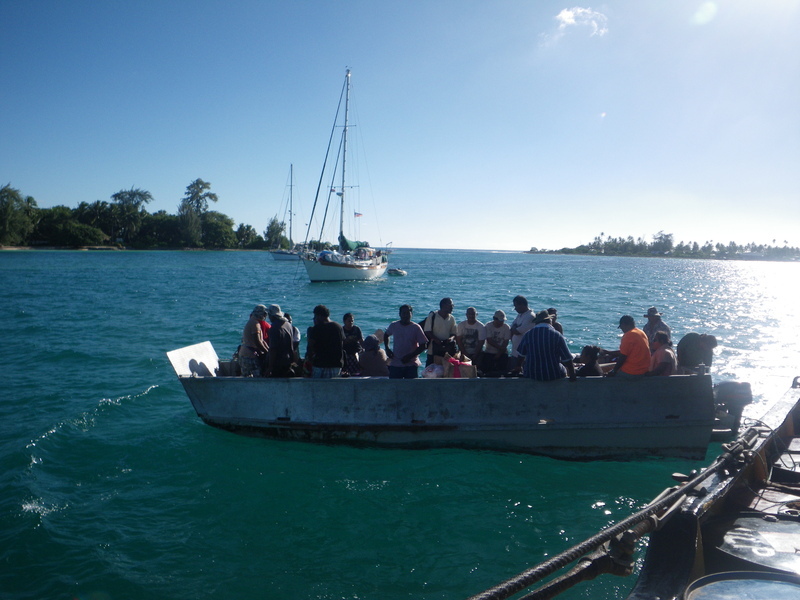 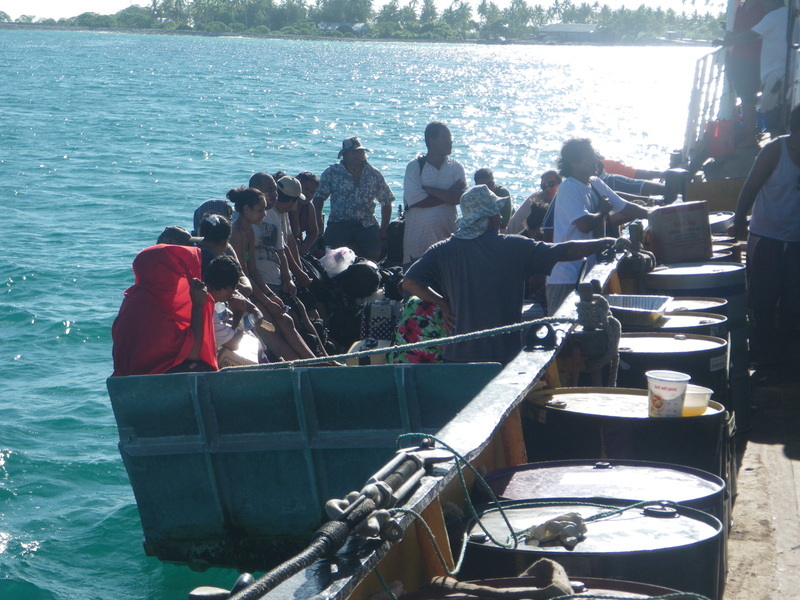 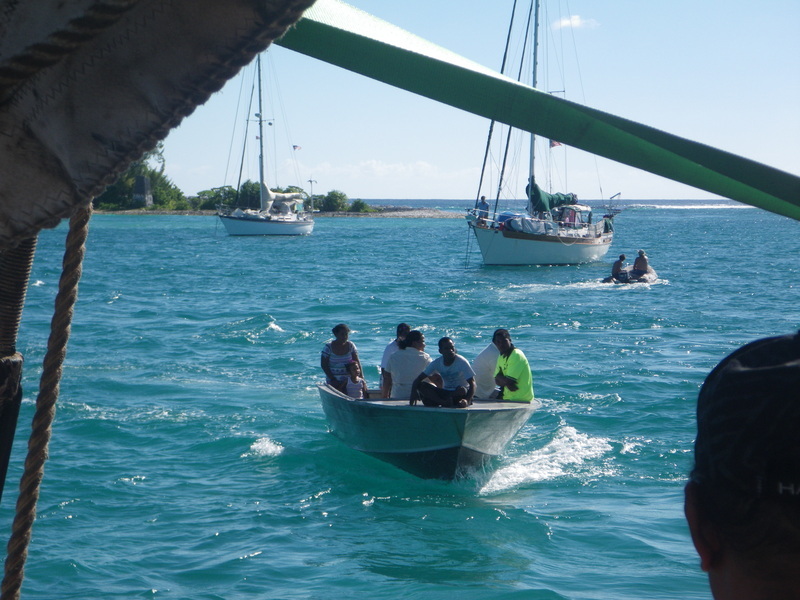 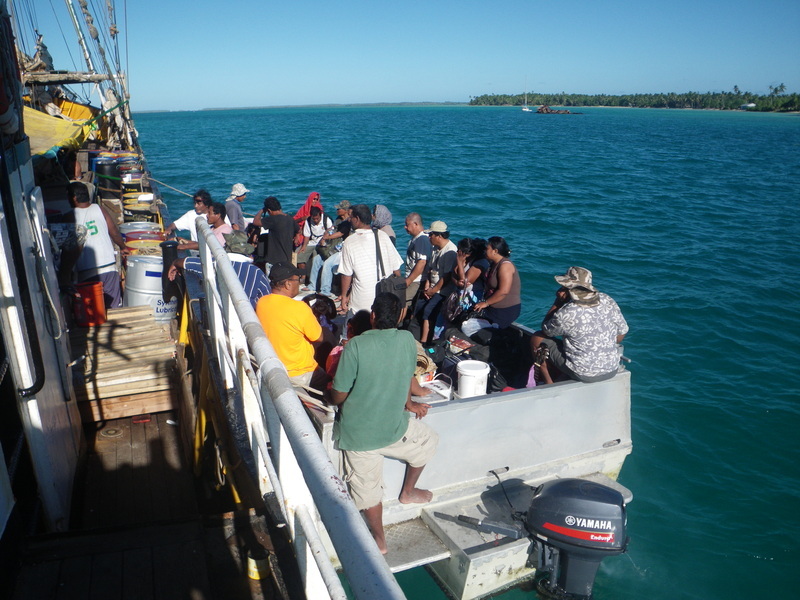 Customs and immigration were the first to come to the boat. 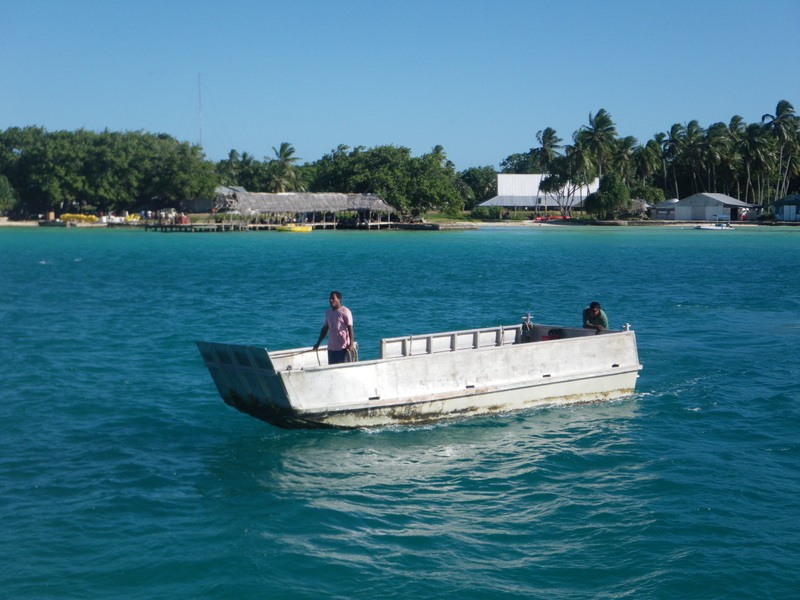 The passengers and many drums of oil went ashore on this ungainly-looking boat. 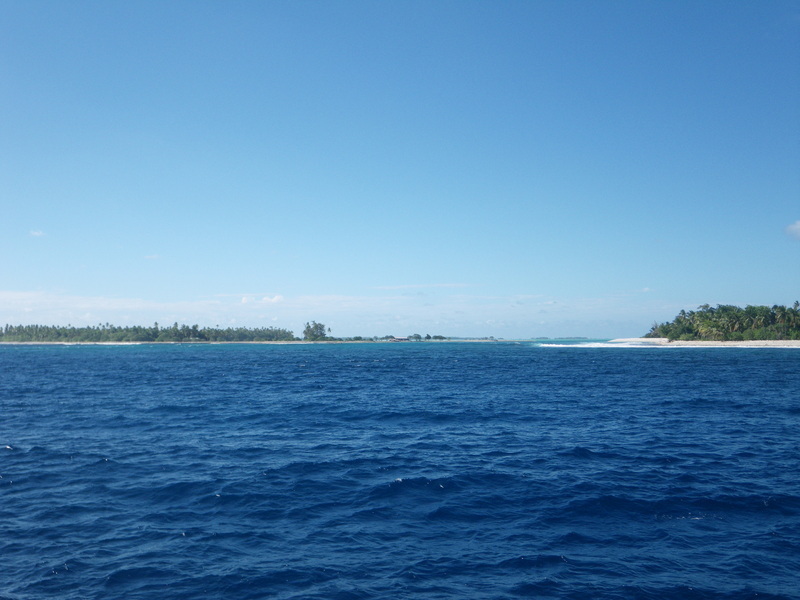 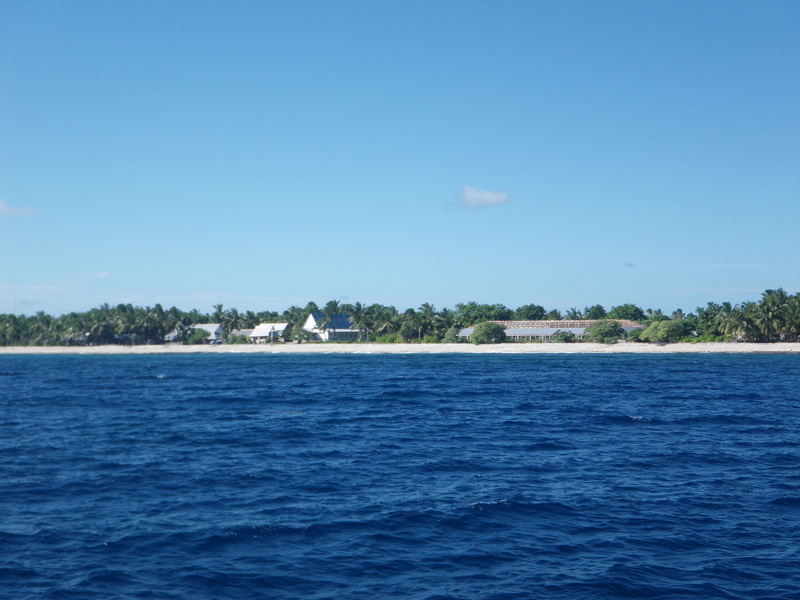 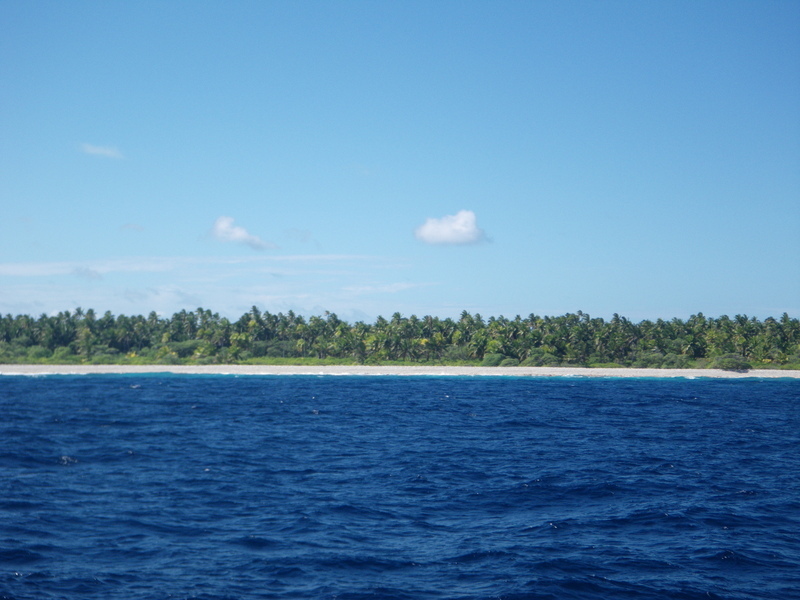 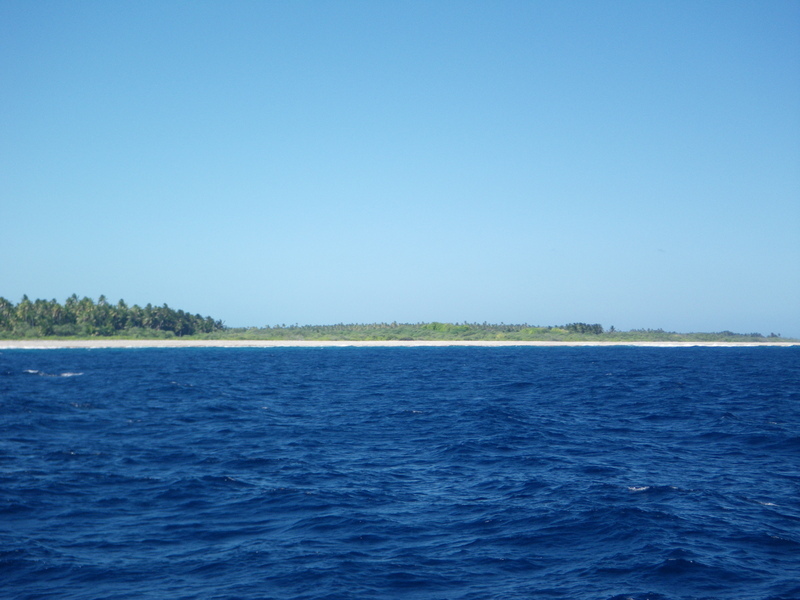 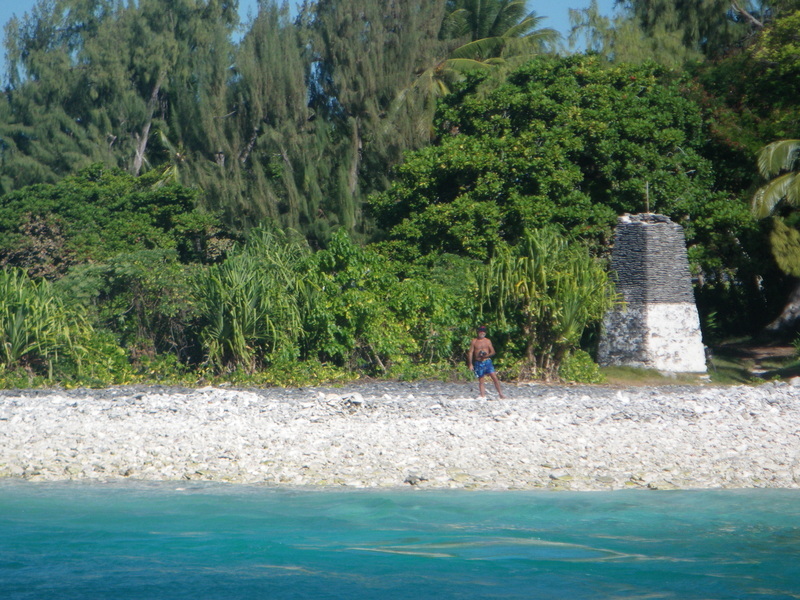 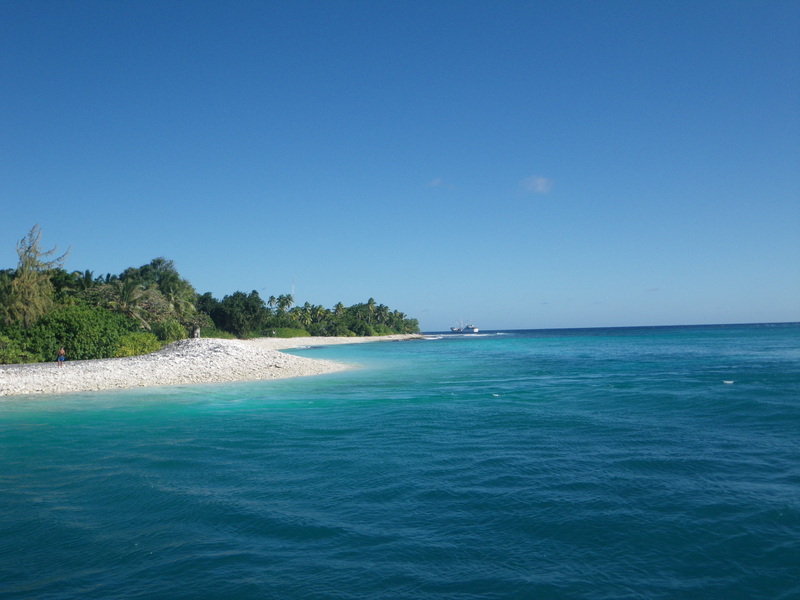 From the lagoon, it is possible to look around at the entire atoll. 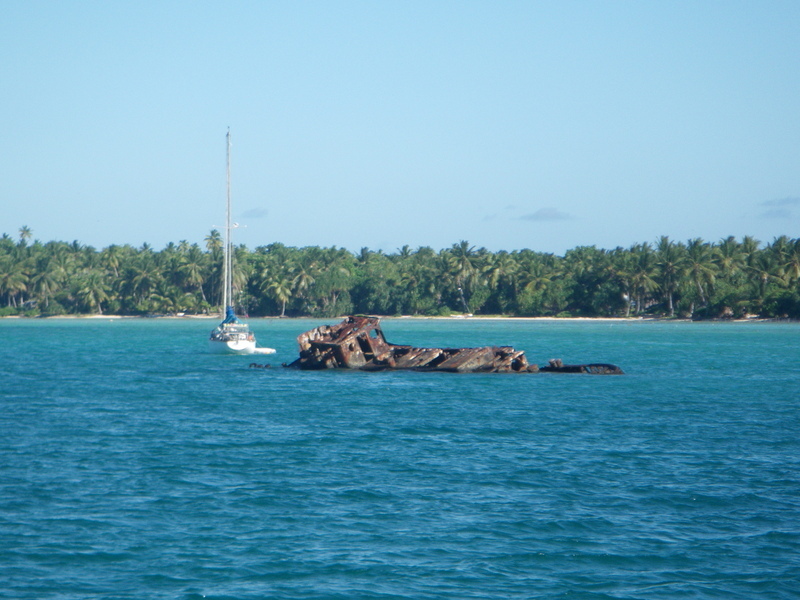 In the lagoon, there is a wreck. 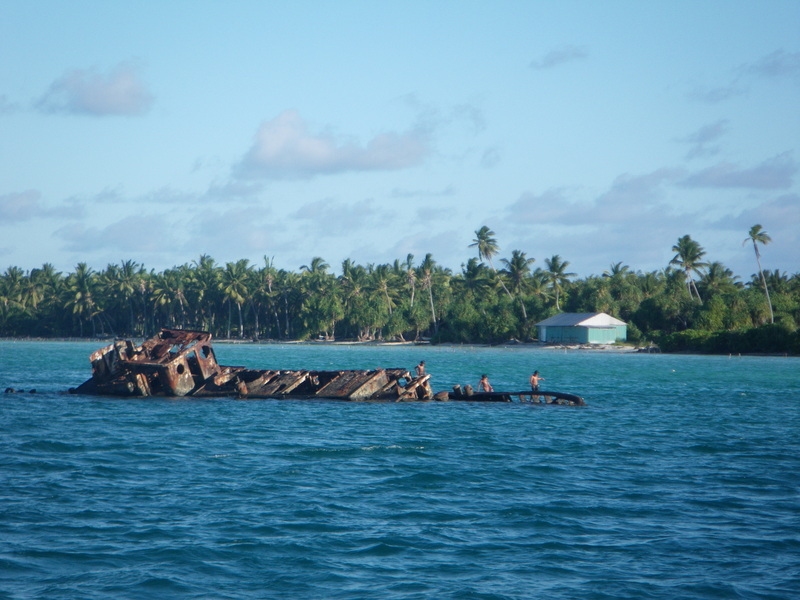 I was told the wreck was of a tugboat that had come from Honolulu. 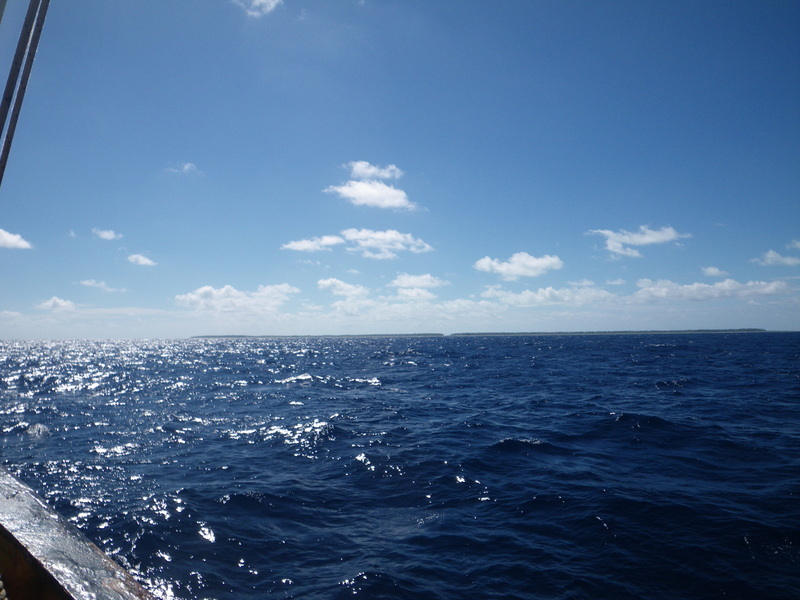 I went swimming, and saw a Manta ray that I wasn't able to take pictures of. 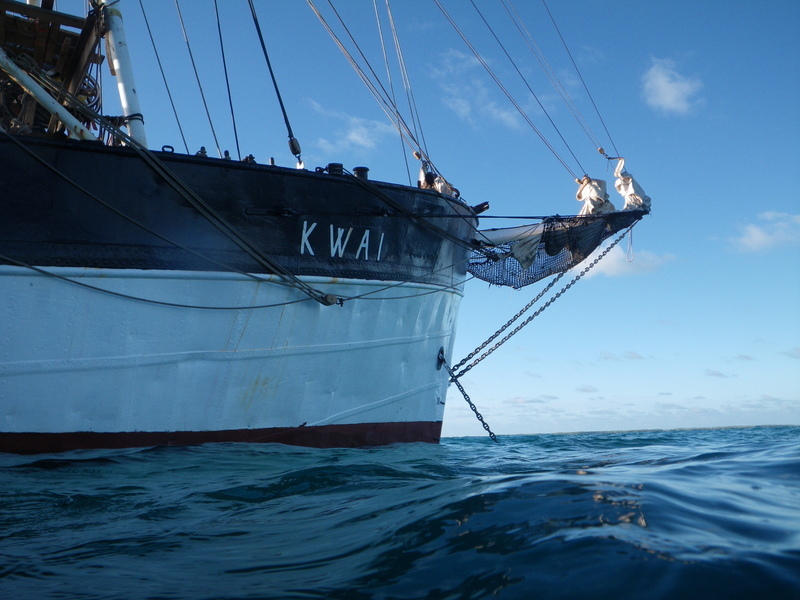 I did take pictures of the Kwai.